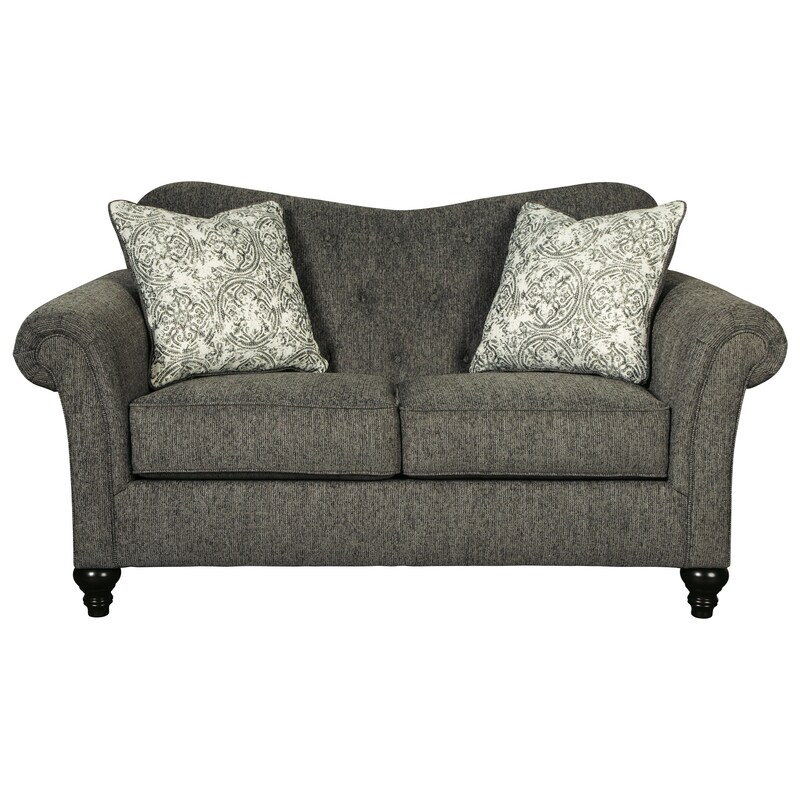 This traditional loveseat brings a charming sense of sophistication to your living room. Classic features such as the sweetheart button tufted back pairs well with the modern slate gray upholstery of this piece. This mix of fashionable style and timeless design ensure your home will always be ready to put its best foot forward. The Praylor Traditional Loveseat with Tufted Sweetheart Back by Benchcraft at Sam Levitz Furniture in the Tucson, Oro Valley, Marana, Vail, and Green Valley, AZ area. Product availability may vary. Contact us for the most current availability on this product. Curate a charming yet traditional aesthetic in your home with this collection. Features such as tufting and classically turned feet add to the sophistication of these pieces, without taking away from their modern appeal. The Praylor collection is a great option if you are looking for Traditional furniture in the Tucson, Oro Valley, Marana, Vail, and Green Valley, AZ area. Browse other items in the Praylor collection from Sam Levitz Furniture in the Tucson, Oro Valley, Marana, Vail, and Green Valley, AZ area.